The list of positive thinking information links below will aid you in your search for information about positive thinking through the reviews of books and positive programs. You will also find links to related and relevant sites and resources, like motivational and inspirational sites, blogs, and newsletters. Check the reviews of these positive thinking programs. These programs (software, ebooks and audios) can help you to get the best out of yourself. Browse through these positive thinking books. Read these first hand reviews to good books on more positive information. 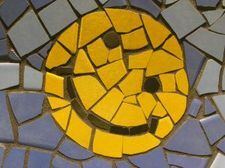 Susan's blog "High on Happiness" has very inspiring writings - a different piece of writing every day to lift up your heart. Check it out! An author, tai-chi teacher, musician, and many other things, Barefoot Doctor offers you an approach to life based on Taoism. His helpful and practical advice is bound to bring you peace. Follow 'Go For Your Dream' on Facebook for a variety of inspiring tips and advice. This Law of Attraction Guide explores the history, background, definition and the ways that you can utilize the Laws of Attraction. With free resources, eBooks and the Conceive-Believe-Achieve Magazine. Inspiration Line Meaningful Life Magazine. See why people around the world treasure their weekly Inspiration Line, a free online magazine with uplifting quotes, articles, poetry, music, humor and positive life coaching. This is a site with loads of good information on motivation and achieving goals. Subscribe to the newsletter - easy to read and catchy! Find useful self-help tips and great positive thinking information at Self Help Collective. This is a neat, clear and enticing site designed to help you be who you want to be.